This has been a year full of exciting trails for the Cowboy Ministry. One thing is for sure, if you know God is calling you, it's best to head that direction. We've traveled to Rodeo's, Horse Shows, and Cattle Drives. And each time we travel to a different location we see Gods' had move in a mighty way. 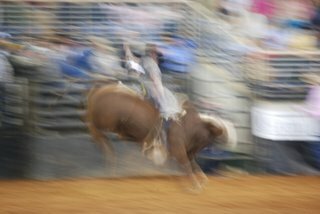 Last night I went to Lake Alfred to the South of Heaven Rodeo. Tucked away, off of Hwy 17-92, down a dusty road, drive behind the house it opens up to pick-up trucks and lots of boys and girls wearing hats and boots and a small rodeo arena. This is a training facility for Cowboys and Cowgirls to learn how to Rodeo. It is owned by CJ Brown. 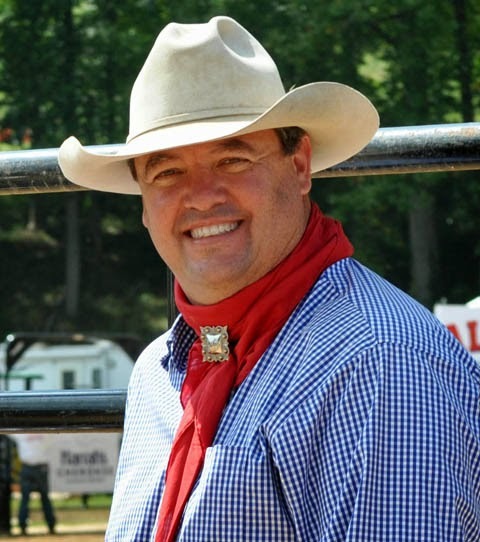 He helps young Cowboys learn the "ups and downs" of the rodeo business. Each Tuesday they have a "Buck Out", this is a chance for new riders to learn how to get on and off Bulls or Broncs (horses). CJ and I talked about his training and he told me how important is was to him not just to teach how to ride but also how to live. Life lessons are important to him and he conveys that to the young cowboy's at his ranch. So we have a standing appointment each Tuesday to go over, pray with these young men and women and watch them learn a little aboutlife one ride at a time.